When you think of stress, think of pressure. Imagine the pressure a sculptor places on a piece when carving marble. When the right amount of pressure is added, the marble turns into a masterpiece, however, when too much pressure is applied, the marble crumbles into pieces. 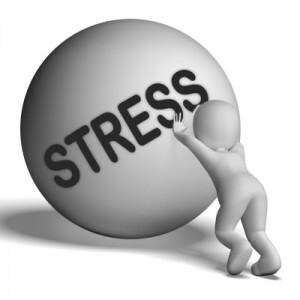 Stress is normal as our life is full of challenges, deadlines, frustrations, and pressures. While stress can be productive, in that it can help us produce better work and meet our goals, too much stress is known to result in severe emotional and physical changes. We’ve heard for years that too much stress can cause damage to the heart and immune system, but what about areas of the brain? When humans are exposed to stress, the brain reacts by secreting a variety of hormones. Of these hormones, adrenaline and cortisol are two that arrive on the scene, increasing the heart rate and blood pressure. Once the stressful situation has ceased, the brain stops the production of these hormones and eventually, the body returns to its natural state. Chronic stress, which is the response to emotional pressure endured for a prolonged period which an individual recognizes they have no control over, directly affects the hippocampus and prefrontal cortex, the parts of the brain responsible for attention and memory. Chronic stress is common in young people because for many, they are in the initial phase of life learning the skills needed to deal with life’s demands. Galván’s new research showed that chronic stress also affects the adolescents’ amygdala, the part of their brain associated with aggression and anxiety. Over prolonged periods of time, these changes in adolescents’ brain can influence their ability to make decisions. Of course, the way a young person responds to stress is based on their previous experiences, making it all the more imperative to teach young people about social emotional intelligence. Teaching our kids how to effectively use social emotional intelligence as a tool will help them understand and manage emotional distress, learn better ways to deal with social situations, build and maintain meaningful relationships, and make responsible decisions.. There comes a point when young people begin to actively judge and address life’s dangers on their own. They are suddenly confronted with situations where they need to decide how to intervene – whether to use violence or counter violence – confrontations that require intense physical and emotional reactions. Our young people are learning about human intent and motivation, how to deal with struggles and deal with accountability, irresponsibility and malevolence. Without the proper skills, a lot can go wrong along the way. However, with the right skills, with the learned skills of social emotional intelligence, they can come out on top, be successful academically and socially, happier and less stressed. Author: Divya Parekh (ACC, CPC, LL, MS) is an international career leadership coach, Head Career Coach at International Coach Academy, and CEO of The DP Group. She assists executives, professionals, coaches and students plan, develop and achieve their career and leadership goals. She has been recognized by Worldwide Who’s Who as ‘VIP of the Year’ for showing dedication, leadership and excellence in leadership coaching. She is founder of the 1/1/1 Leader Project. The project prides itself on being simple. Set a goal. Work towards achieving it. Give someone a smile. Be nice to another person. Make the world a little bit nicer. It’s free so get started today! With the exception of depression, teens are not truly unmotivated. They have the motivation to do the things they like (pleasurable and fun) and avoid doing things they dislike (work). More times than not, the issue is that adolescents often lack the motivation their parents hope for. Many parents want their teenagers to try harder, care about doing better, to achieve more, to be self-starters and in general, be more ambitious. The result often turns out not be an unmotivated teenage problem, but instead, a dissatisfied parent problem. Motivation is based on needs, such as the need for independence, the need to belong and the need for competence. Two ways in which to address the dissatisfied parent problem is to view motivation in both intrinsic and extrinsic ways. For example, there’s the extrinsic motivation question, how can we get our kids to want to do better for us, as parents and there’s the intrinsic motivation question, how can we get our kids to want to do better for themselves? 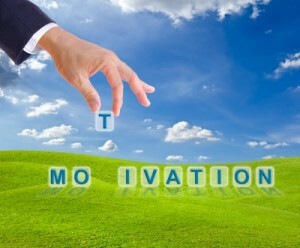 Extrinsic or external motivation is motivation outside a person’s self-esteem and personal passions. It is anything outside of yourself that you need to have or gain to increase your level of motivation. Examples of extrinsic motivation include high school grades, expensive houses and cars, money, company bonuses and even gold stars for school performance. Intrinsic or internal motivation is the opposite of extrinsic motivation in that people are motivated by their passions, by things that give them joy in life. People who are intrinsically motivated are not motivated by the thought of nice cars and big houses, but are instead, motivated by getting paid for doing what they love and from learning. They are motivated from within. Parents wondering how to motivate their teenagers often rely on the power of persuasion. They attempt to apply extrinsic motivation by urging, encouraging and in some cases, even pleading with their adolescents to do better. When teenagers are in a place of resistance, this approach is usually more irritating than encouraging. It comes across as dissatisfaction at your end, and a lecture they’ve heard before at their end. The method of offering rewards for improved performance and punishment for unimproved behavior is generally counterproductive. It’s counterproductive because this behavioral reward system can be perceived as threats to which most teens will rebel against to avoid feeling like they are being pushed around. The threat of punishment, especially when it’s in the form of sanctions or criticism, on the other hand, sparks hurt and resentment that only encourages resistance. Instead of implementing an extrinsic motivational method of condition plus promise, such as “I’ll give you what you want if you give me what I want”, try a more empathetic approach that involves concern and communication. Explain to your teen that you wish they would help you understand how they feel about (a particular situation or event) so see what you can work out together. When teens feel less objected to parental control and feel that their parent is more in tune with their concerns, they tend to be more inclined to cooperate. There really is no better time to set goals than today. Young people especially, will find goal setting extremely helpful in getting where they want to go in life. However, even when we set goals, we can experience difficulties getting started on our path to success. Since each person has their own unique set of strengths and weaknesses, setting goals helps to separate these differences and makes achieving our goals more realistic. When you decide to set your goals, it’s important to understand these teenage goal-setting tips ahead of time. If part of the new you includes changes, you will need to give yourself the time required to have these changes take effect. Realistically, it takes most people several months to establish a new habit. Think of a time when you decided to hit the gym before school each morning. That likely meant you had to get up earlier each day. While you may have struggled to wake up earlier at first, over time, it became easier and maybe even natural, to wake up at the new time. It’s necessary to give your brain time to get used to a new idea. While dealing with change is one part of succeeding, setting realistic goals is another. People who set specific, realistic goals tend to stick with the new changes and adapt more readily. Instead of setting a goal to perform a full circuit of training every morning, set a goal to work only the upper part of your body one day and the lower part the next. Keep your goals realistic. You’ve probably heard sayings along the lines that pleasing other people does not work. There is a lot of truth to these words, so take them for what they’re worth. The key to successful goal setting and changes is finding the desire to succeed inside yourself. It’s imperative that you set goals because you want to. It’s hard to stay motivated if your heart is doing it for the wrong reasons. It’s inevitable that you’ll experience roadblocks or some level of failure along the way. Every successful person in the world has experienced some level of failure. It is perfectly normal to take a few attempts before getting it right. Reaching a goal is not always easy. Making mistakes along the way is part of the process, so don’t beat yourself up over failure. Instead, see how you can learn from them and get yourself back on track. As a youth in today’s world, things are much different than they were for young people a couple of decades back. One reason for this is the structure of the family, in that more and more families consist of single parent homes. As a single parent come more responsibility and often less money for everyone in the house. This style of home life can sometimes complicate things and add to the already stressful day-to-day events today’s youth face. Additionally, all pervasive technology has reduced considerably free play and social interactions. While some young people deal with their stress by lashing out and bullying, others are learning to deal with life in a more positive and productive manner. Since being heard and fitting in remain top priority for most young people, learning how to use social emotional intelligence will help you focus and make better choices. You are alone walking across a football field heading to gym class. Walking behind you are two boys who are obviously football players. You are not a football player but are considering trying out for the team. From behind, you suddenly hear one of the boys say to you, “So, I hear you’re going to try to play football.” The other boy snickers at his friend’s comment. Your reply is not what your antagonist expected. Instead of coming back with a mean comment, you’ve disarmed him with your conversation. To your surprise the boy replies, “Well. You’re not that bad. Maybe I can show you a few things sometime.” Social emotional intelligence is the learned process through which adolescents implement the knowledge, perspective and skills needed to understand and manage emotions. They understand goal achievement, empathy, and how to get along with others and develop positive relationships. It’s about having the emotional tools and mental ability to understand what’s happening and then deal with it appropriately. The short interaction with the football boys is an excellent example of learned social emotional intelligence. By hearing the skepticism in the voice of the taunting football player and keeping your cool, you will have displayed your learned level of social emotional intelligence. Wherever you may be on this earth – whatever condition you may be in life, you will always find a need to draw on social emotional intelligence experiences. Too many of today’s adolescence face every day conflicts they do not know how to manage. They encounter issues that often involve jealousy, teasing and physical aggression. Violence and juvenile delinquency are symptoms of a young person’s inability to deal with these conflicts. Teaching young people how to manage their conflicts in a productive manner is one way to help reduce violent behavior. Conflict resolution is about giving youth nonviolent tools to deal with conflicts that can lead to violent and self-destructive behavior. Conflict resolution involves teaching young people how to voice their opinions, express their interests and find a mutually acceptable solution between disputing parties. An important part of teaching conflict resolution is helping young people understand that conflicts happen all the time, and that with learned skills, conflicts can be dealt with in nonviolent ways. Manage their students’ behavior, not with coercion, but by stressing personal self-discipline and responsibility. Teach young people how to respond to daily conflicts without violence by implementing their learned skills of negotiation, consensus decision making and meditation. Play a hand in activating community involvement in violence prevention via community programs and services. Peer mediation: This approach of conflict resolution involves specially trained student mediators. These student mediators work directly with their peers to find a conflict solution. The peer mediation approach often replaces the traditional disciplinary actions of detention, suspension and expulsion by encouraging problem solving and thus, decreasing the need for teacher involvement. One New Mexico school reported having over 100 playground fights per month. This method of conflict resolution decreased the numbers by 90 percent, to less than 10 fights per month. Process curriculum: This approach involves teaching the principals, foundation abilities and problem-solving processes of conflict resolution. This curriculum, which is modeled after the Harvard Negotiation Project, involves administrators, teachers and students learning how to use negotiation to resolve disputes and achieve goals that satisfy both sides. This method of conflict resolution resulted in a North Carolina middle school seeing a 97 percent decrease in out-of-school suspensions. Peaceable classrooms: Integrating a conflict resolution curriculum into the daily management of the classroom, this approach to conflict resolution uses instructional methods of academic controversy and cooperative learning. This method of dealing with conflicts shows teachers how to practice cooperation and offer effective communication that result in a peaceful classroom. Students who learned this method displayed an 80 percent decrease in teacher conflict management. School principal involvement plunged to zero. Peaceable School Approach: A conflict resolution management approach that integrates all three of the above principals. This method involves teaching all classroom teachers, principals, students, community members and crossing guards that the goal of a nonviolent society is realistic. This approach empowers students with conflict resolution strategies and skills to control their own behavior. Several multiethnic New York City schools reported a 71 percent decrease in physical classroom violence after learning the peaceable school approach to conflict resolution. Today’s young people cannot be expected to utilize skills they do not have. Teaching adolescents effective conflict resolution principles and strategies modeled by adults will help make for a more peaceful, nonviolent environment for everyone. http://ecorner.stanford.edu/index.html The site is a free online archive of entrepreneurship resources for teaching and learning. Check it out! Why Is Emotional Intelligence Important for Teens? To A Joyous New Year and Possibilities!